You are looking to create future-proof digital infrastructure for your town, local authority or business. From design to operation, we develop bespoke services such as public initiative networks, wholesale services for telecommunications companies, indoor radio coverage, managed dedicated networks, installation and commissioning, and maintenance. Optimise your region’s digital development policy and improve quality of life for residents through high-speed internet. Take advantage of a suite of uniform services across all our Public Initiative Networks to help build your solutions and access offers. Opt for a neutral, multi-operator and scalable solution to meet your specific usage and coverage requirements. Take advantage of a private network and efficient monitoring tools to interconnect all your sites. 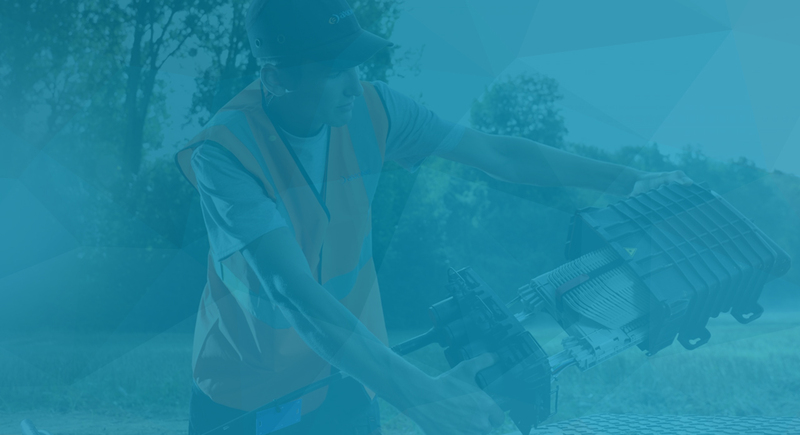 Benefit from our national footprint and expertise in telecommunications infrastructure to boost your ability to respond to works, commissioning or maintenance projects. Our private mobile cellular radio communication networks, intended for your exclusive use, offer advanced features designed for the security forces and adapted to your needs, such as push-to-talk, dynamic group number assignment and priority calls. Secure encryption-based communications; staff, worksite, system and location security; building and area access control. Digital infrastructure that can be tailored to your needs and developments: coverage extension, incorporation of new services, terminal and accessory replacement. End-to-end project support and contractually guaranteed high availability for your network. Architecture that fits your current and future digital behaviours; proven and reliable systems; existing equipment and emerging technologies taken into consideration.